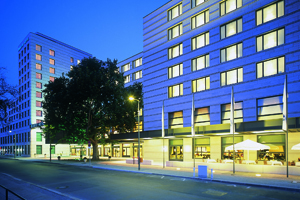 C&IT has teamed up with Maritim Hotels and British Midland International (BMI) to offer one lucky reader and guest the chance to win a two-night stay in Berlin. The prize includes a two-night stay with breakfast for two people at either the Maritim Hotel Berlin or Maritim Hotel Pro Arte, and two return flights from London Heathrow with BMI. 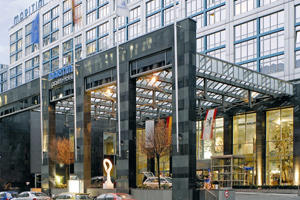 The 505-room Maritim Hotel Berlin's event spaces include more than 45 rooms with capacity for 5,500 people. The designer Maritim Pro Arte hotel has 403 bedrooms, a business centre and 14 function rooms. The properties are part of the Maritim Hotels collection, which includes 37 hotels in Germany and more than 50 properties worldwide. To enter, please send your answer to the following question to citcomp@haymarket.com by 27 October: How many Maritim Hotels are there in Germany? Prize is not transferrable with no cash alternative and not valid during high season, fair periods and special events. The reservations are subject to availability and should be made via – info.vklon@maritim.com, who in turn will confirm the booking. The stay is for the said duration in the named hotel with additional nights bookable at our best available rate. The choice of hotel will be decided subject to availability, preference will be taken into consideration but Maritim Hotels will have the final decision. The Prize includes two economy class return flights with bmi between London Heathrow and Berlin (the "Prize"). The Prize winner and the Prize winner’s companion must travel at the same time. The Prize must be used for travel by 30 June 2012 and is subject to availability. Availability is reduced at peak times and holidays. Bookings must be made by the Prize winner at least 14 days in advance of the outbound travel date. British Midland International will pay airport taxes and all other taxes and charges associated with the Prize, however, all transport other than the Prize (for example, to and from the arrival and destination airports) is the responsibility of the Prize winner. Each Prize winner is solely responsible for declaring details of any award provided under this Promotion to the relevant tax authorities and for paying any tax liability which may arise. The Prize winners will be responsible for supplying valid passports and visas and, where necessary, for obtaining appropriate vaccinations and inoculations. It is strongly recommended that such winners take out adequate travel insurance. British Midland International reserves the right to provide an alternative prize of similar value should the specified Prize become unavailable for any reason. British Midland International reserves the right to cancel or amend the terms of this Prize and without notice in the unlikely event of a major catastrophe, war, earthquake or any actual, anticipated or alleged breach of any applicable law or regulation or any similar event or if circumstances arise outside of its control. British Midland International reserves the right to change its flight schedules without prior notice. The Prize is not open to the employees of bmi, their immediate families or contractors or any person directly or indirectly involved in the Promotion.